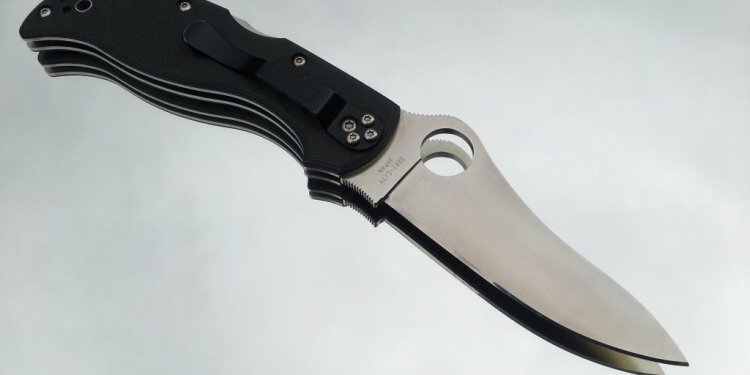 I was looking at the little guys in ZDP-189 for one reason or another, (ok, because I felt like another Spyderco today) and was trying to decide between the Ladybug and the Manbug. Had I been looking at the vg-10 models, I think the Manbug was a clear winner, mostly because of the FFG blade. I want to make sure my assumptions, based on looking at pictures in the catalog and watching a few utube videos are correct. It appears the pivot and lock-bar hardware are the same size. There is about a 2mm difference in length, and the Manbug has a little more belly in the blade. The handle is slightly taller on the Manbug. The blade is 2.5mm thick on the Manbug, vs. 2mm on the Ladybug. 20 grams vs 15 grams. Both blades are FFG. I am not sure on the handle width, but it appears the Ladybug has a thinner lock-bar and the FRN is a little thicker, resulting in the same width. So if the pivot and hardware are the same size the strength should be similar. Since this is a tiny knife, I don't think the slightly thinner blade will be a problem, might even be a better slicer. So my assumptions are that there should be very little given up in the way of strength and that the 2mm thickness might even have a slight slicing advantage. So, overthinking this as I like to do, if I can gain a 5 gram weight savings and have a potentially better slicer, why not buy the Ladybug? So that's what I did. Does anyone have any experience with both the Ladybug and Manbug in ZDP-189? Any comments on my assumptions, or did I talk myself out of the better knife?